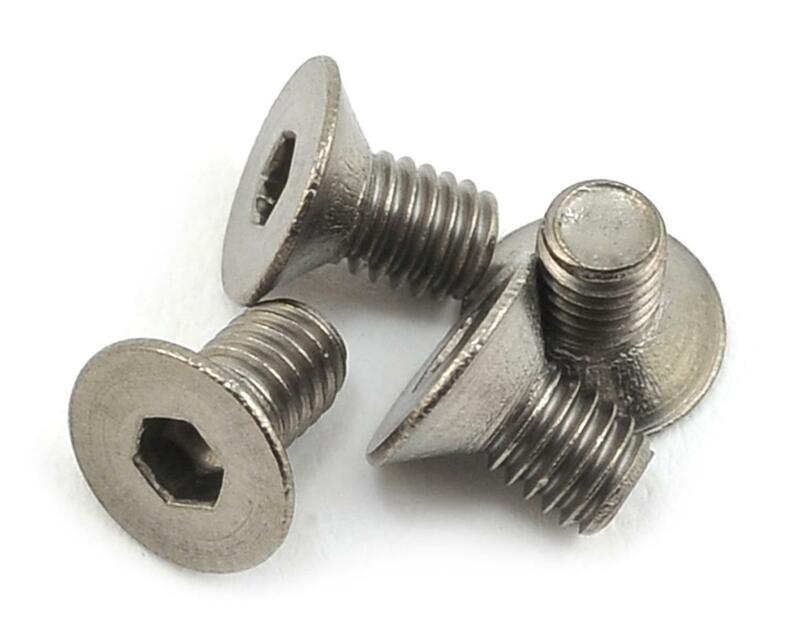 This is a pack of four optional ProTek R/C 3x5mm Titanium Flat Head Hex Screws. Want to take performance to a higher level? Lean up your car with ProTek R/C Titanium Screws. Featuring one of the highest strength-to-density ratios out there, titanium is strong, much lighter than steel and is one of the best ways to quickly put your car on a diet. For those who use ballast weights, titanium screws offer the advantage of lowering chassis weight before having to equalize front-to-back or side-to-side weight distribution. 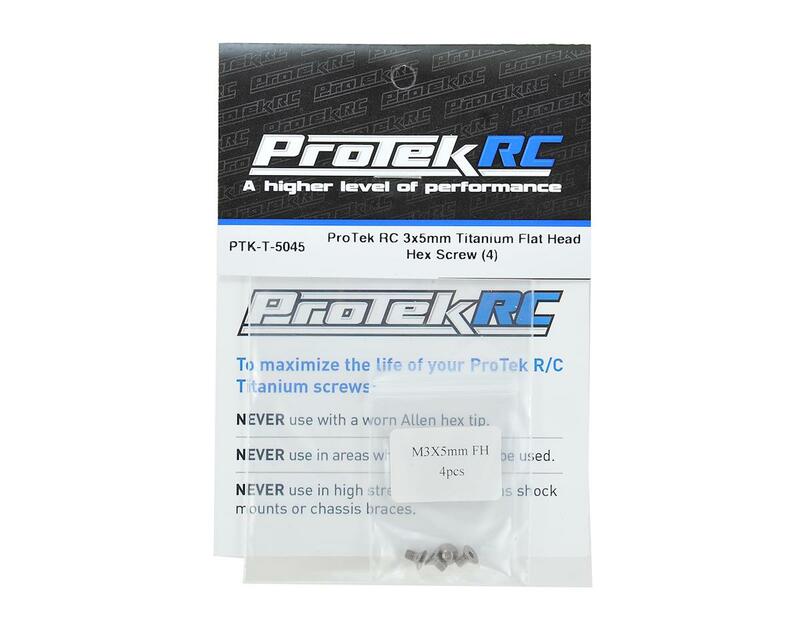 ProTek R/C Titanium Screws have been designed in-house by our leading technical experts and professional R/C drivers. Whereas some other brands use aluminum or low-grade Titanium, ProTek has searched for and found the best Titanium material for R/C applications. These screws are made to stringent standards to deliver the highest quality product on the market. Don’t be fooled by cheaper, inferior screws.